Vienna is one of the cultural capitals of Europe with a cultural calendar that’s packed with concerts, festivals and balls throughout the year. For music alone, there are hundreds of concerts annually catering to locals as well as music lovers from all over the world. 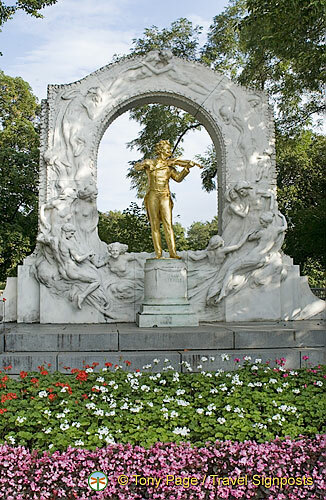 Vienna is certainly the city of pleasure and people come here to indulge. Whether it be a love of classical music, opera, ballet, its grand balls, skiing holidays or sacher torte, there are lots to get you hooked here. A city rich in imperial history, you can walk in the footsteps of the Habsburgs and visit the monuments and buildings that reflect the vastness and grandeur of the imperial Vienna. Just along the magnificent Ringstrasse you’ll see the Imperial Palace, the heart of the former Habsburg Empire. Visits to the splendid baroque Schönbrunn Palace is very popular as is the Belvedere Palace. Vienna has very good transport infrastructure and one of the best ways to explore Vienna attractions and discover the city on your own is by public transport using the underground, trams, buses and rapid transit. There is also a Ring Tram that allows you to explore Vienna’s Ringstrasse and which you can hop-on and hop-off at selected stations. The old city centre is right in the middle of the Ringstrasse and it’s very easy to do your own sightseeing on foot as well, starting at Stephanplatz. Be careful that you don’t get snared into the many tempting cafes that Vienna is so famous for. Having said that, no visit to Vienna is complete without a taste of its famous sacher torte, strudells and other Viennese pastries. Also at Stephanplatz is the metro which is very easy to use and will get you to Prater Park to see its famous ferris wheel. Of course shopping is part and parcel of every holiday and Vienna has a great choice of shopping options. See our related post on Shopping on your Vienna holidays. For those who love Swarovski crystals, Swarovski has opened a new crystal-themed megastore at Kärntner Strasse 24. When it comes to accommodation, Vienna has a huge range of acccommodation choices and it’s just a case of budget and location. You can book your Vienna concerts and operas with Classictic HERE. For sightseeing tours, attractions and events see our partner website HERE. See Travelsignposts Vienna Photo Gallery HERE.